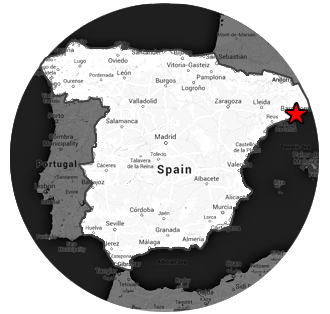 The Cathedral of Santa Eulalia (or simply, "Catedral de Barcelona") is a Gothic Cathedral, aptly located in Barri Gòtic (the "Gothic Quarter"), known for its striking architecture. 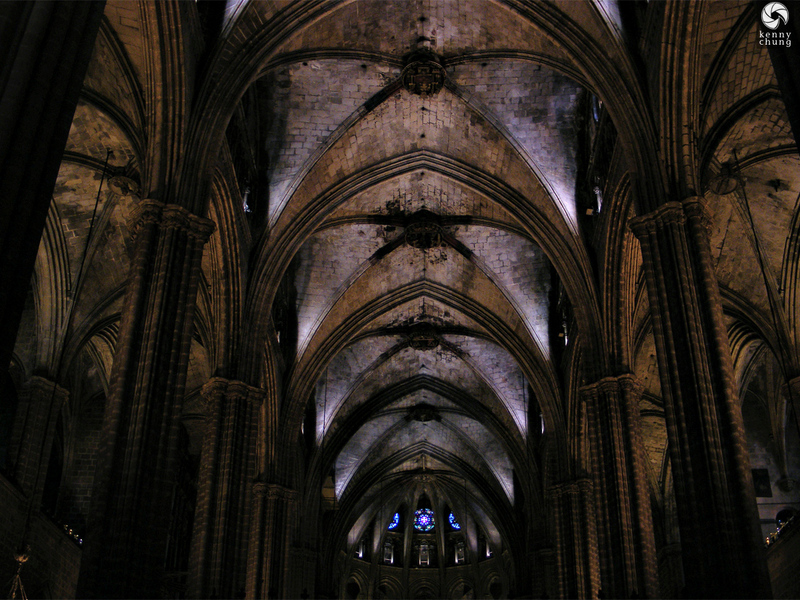 The interior of the Cathedral of Santa Eulalia in Barcelona. 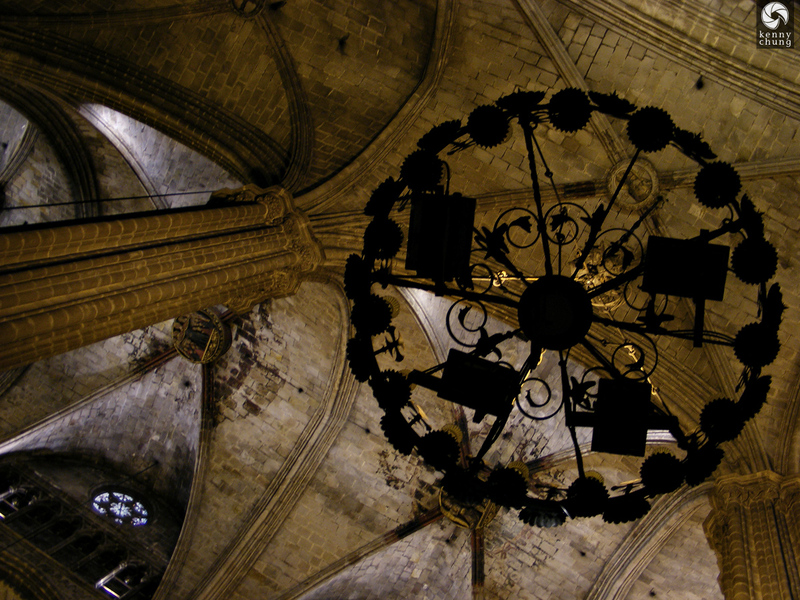 A Gothic style chandelier hanging from the ceiling of Catedral de Barcelona. 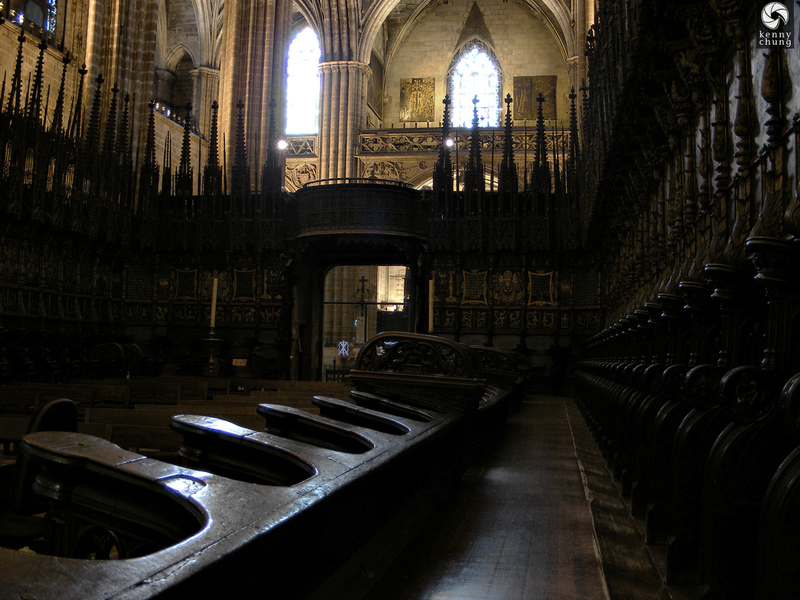 Empty school desks at the Santa Eulalia Cathedral. 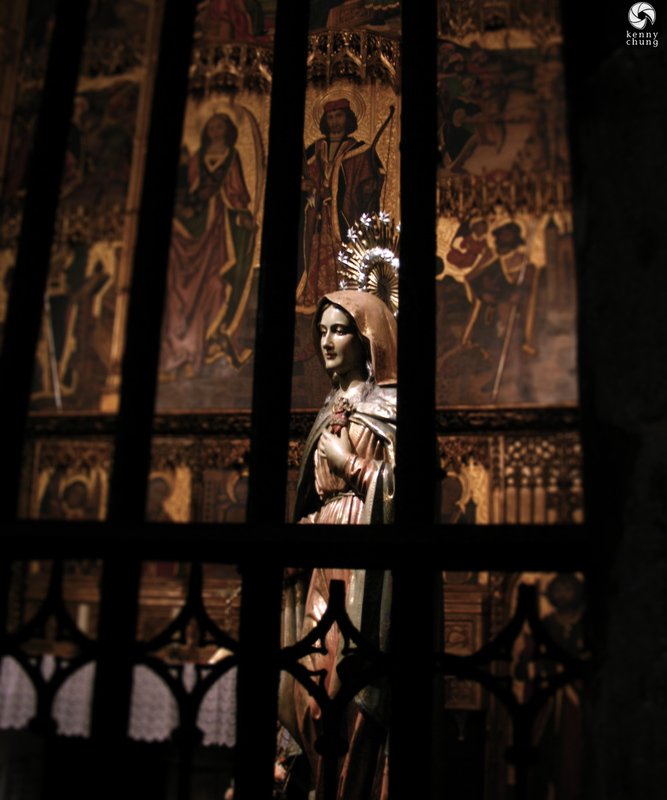 A statue of the Virgin Mary in the Cathedral of Santa Eulalia. 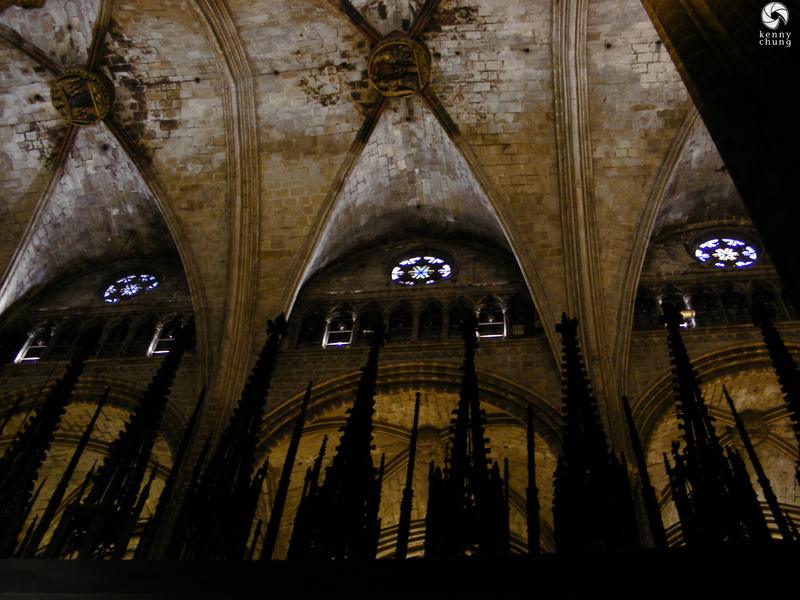 Spires inside the Catedral de Barcelona. 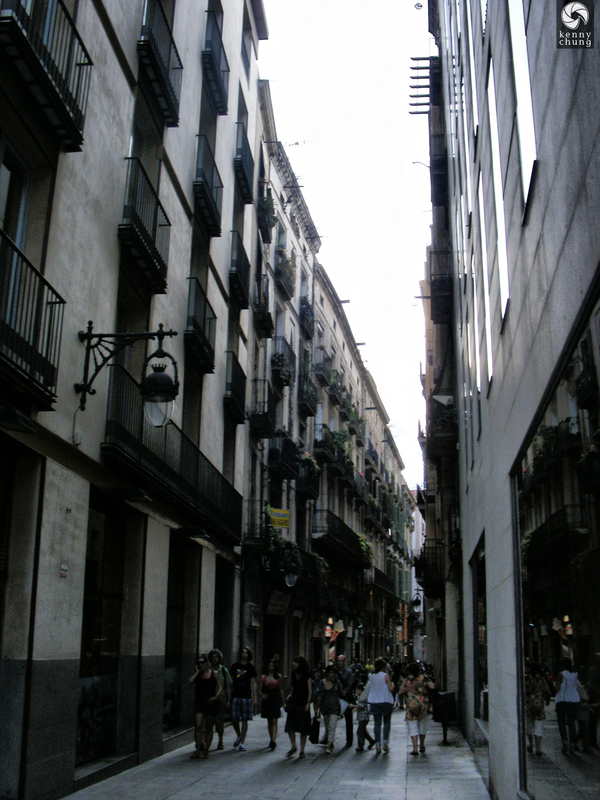 An alley in Barri Gòtic. 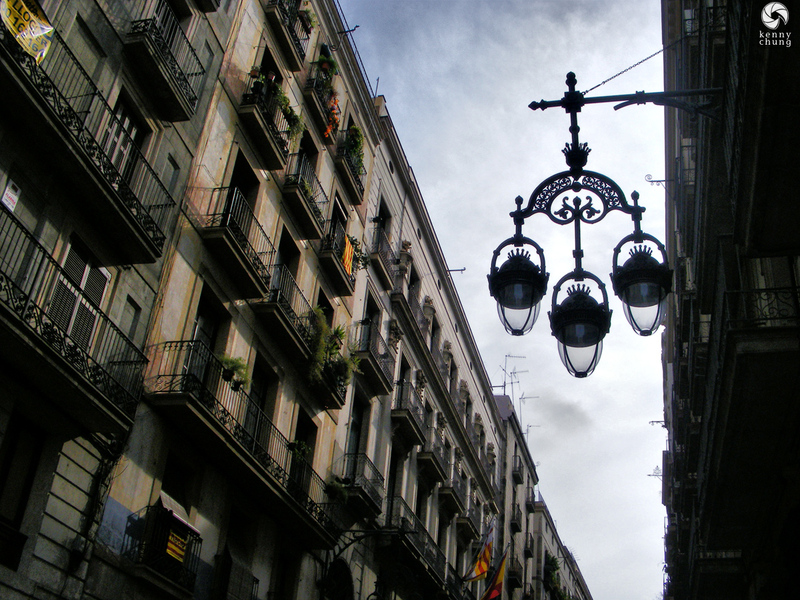 A triad of street lamps in Barri Gòtic.